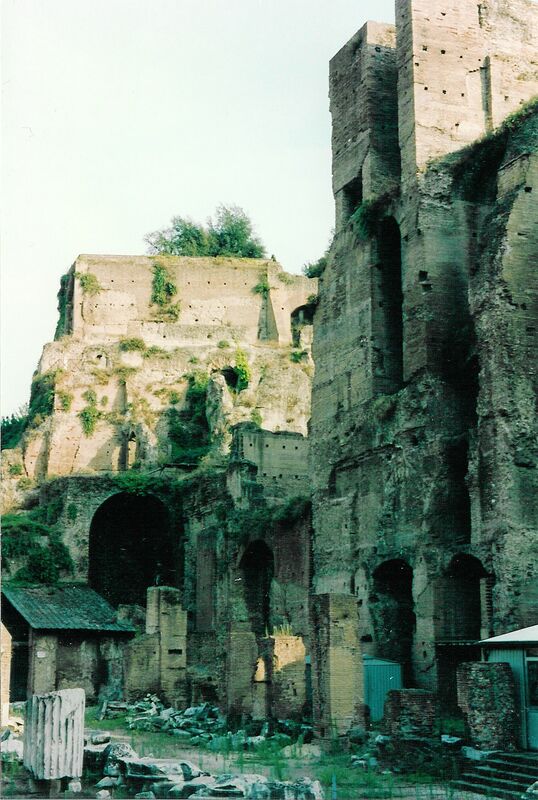 John Julius Norwich, The World Atlas of Architecture, p 154. 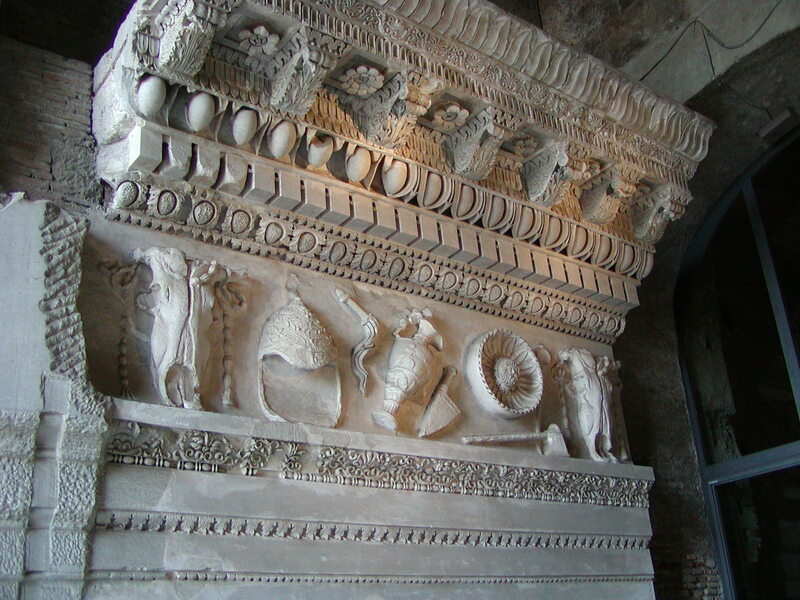 Opus reticulatum is a construction technique using small pyramid shaped blocks of tufa set in a core of opus caementicium. 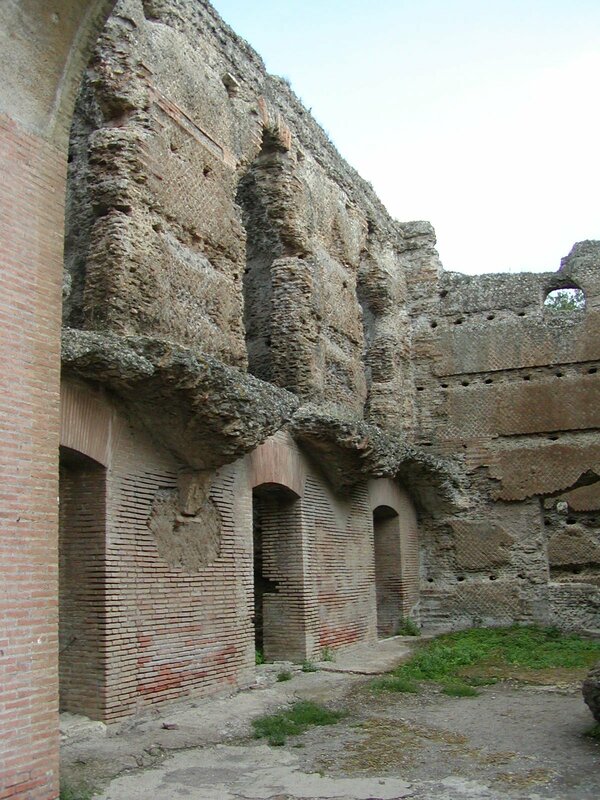 The tufa blocks cover the surface, with the pointed end into the cement, so the square bases form a diagonal pattern that resembles a net, hence the name. 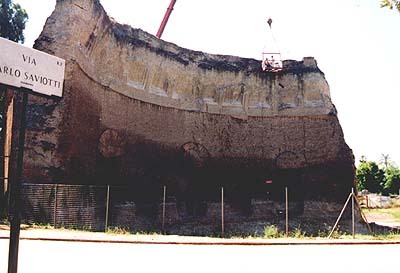 This technique was used from the beginning of the first century BCE and is very common until the early imperial period when opus latericium, brickwork, becomes more common. 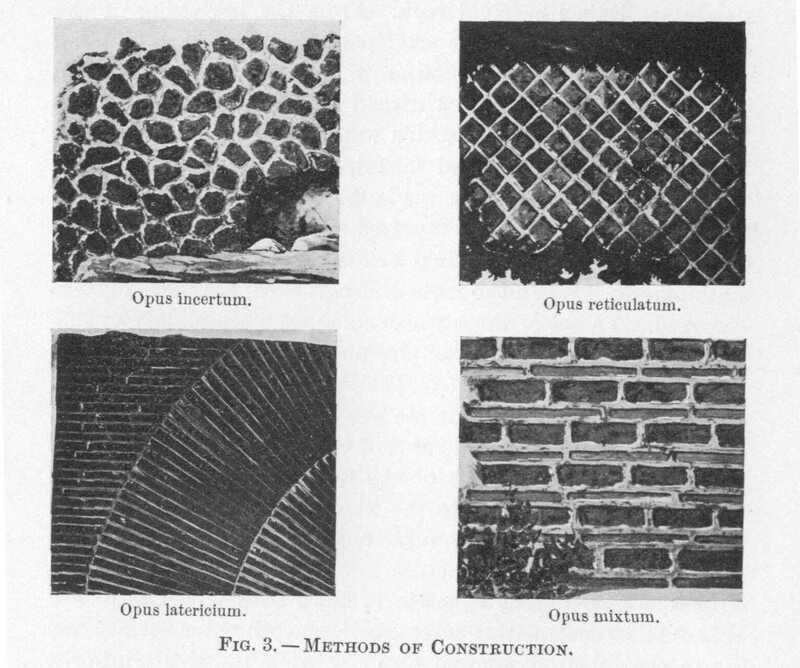 Opus latericium (also called opus testaceum) was a construction technique using bricks. 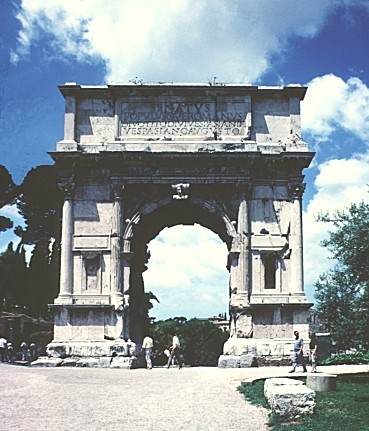 It was first used in the first century BCE, and it was the dominant construction technique throughout the imperial period. 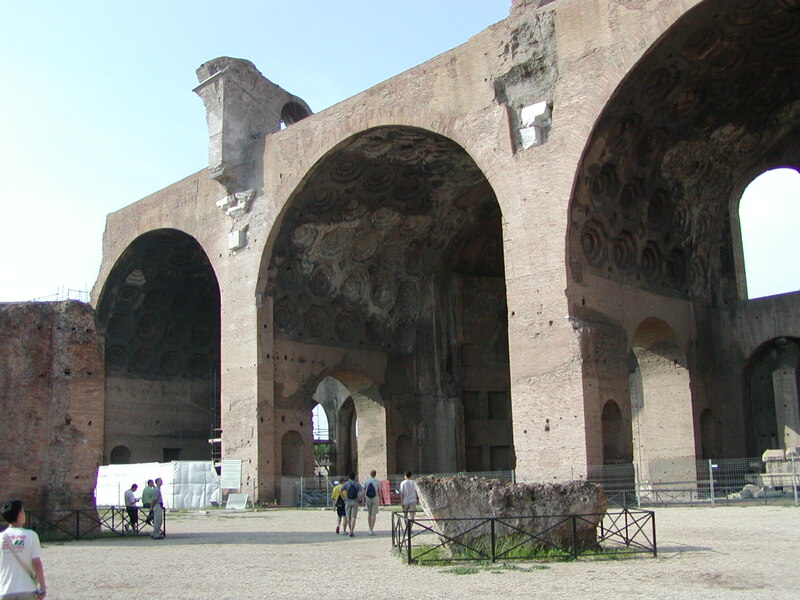 Many of the large imperial structures, such as the imperial baths of Rome, were built in opus latericium. 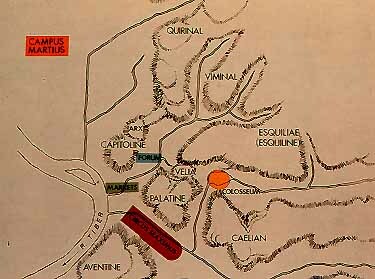 Structures in opus latericium are often easily datable, because they are stamped by the producer. 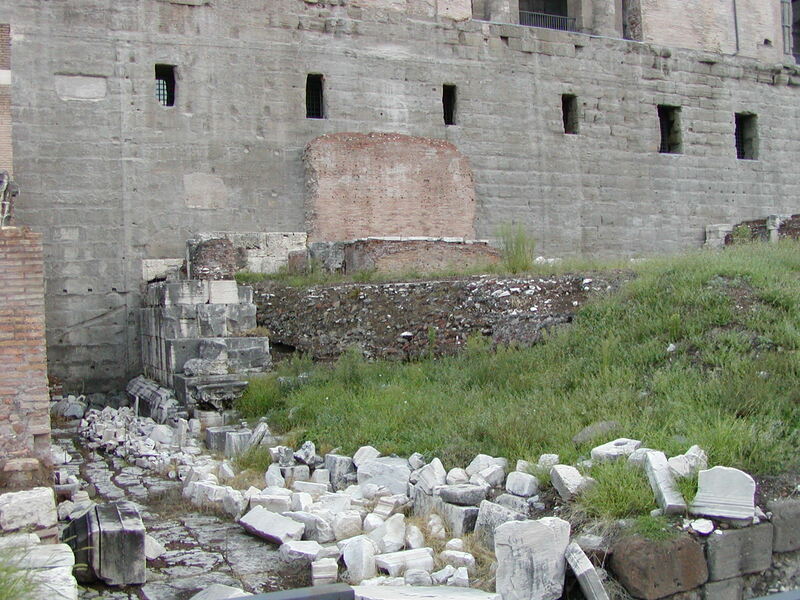 These brick stamps were common from the first century BCE until 164 CE. 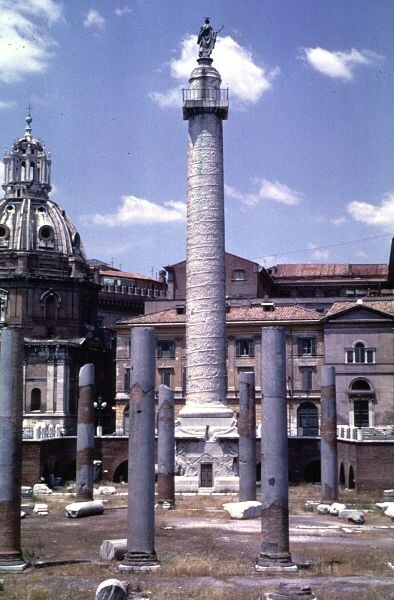 At this time all the brick producing plants had passed into imperial hands and the brick stamps disappeared, to reappear only in the reign of Diocletian in the late 3. 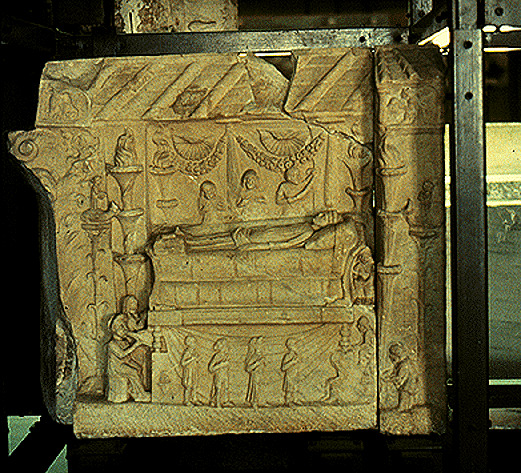 Sir Banister Fletcher, A History of Architecture, p 243, 246. 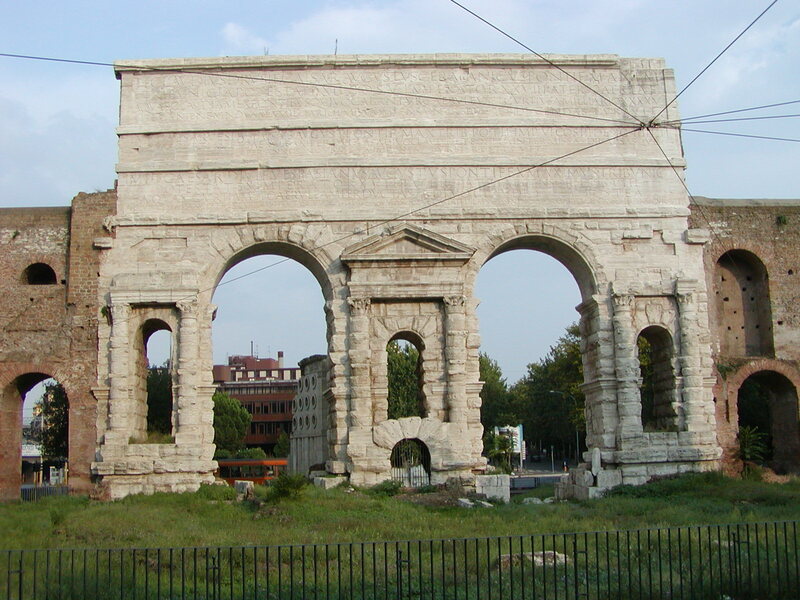 The third of the imperial fora, the Forum of Vespasian was known until late antiquity as the Templum Pacis after the Temple of Peace that dominated the complex. 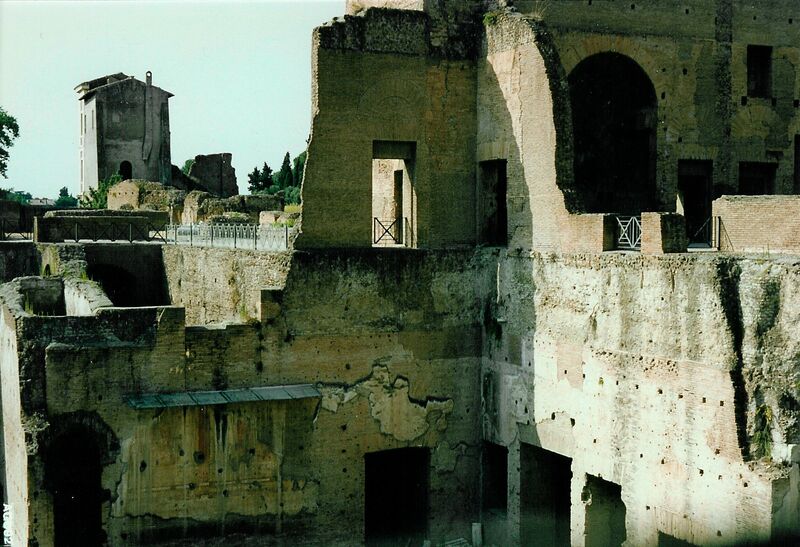 It was begun by Vespasian in AD 71 after the capture of Jerusalem the year before and dedicated in AD 75, the year after Masada finally fell, ending the Jewish War. 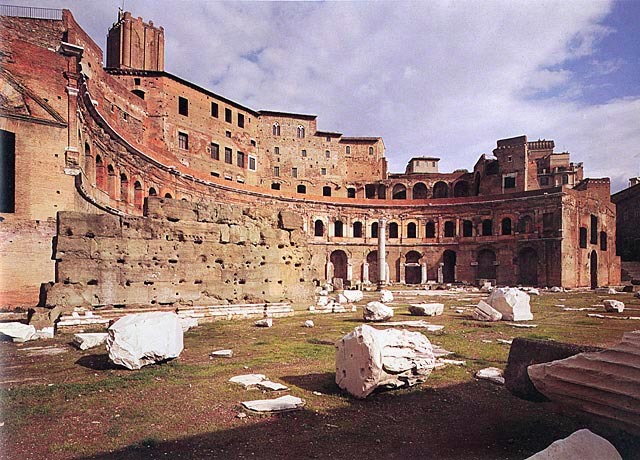 The forum consisted of a large square with a formal garden and was enclosed on three sides by porticoes. 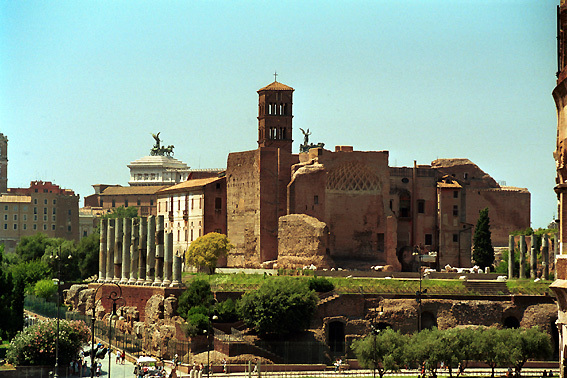 On the fourth side, facing the Forum of Augustus, was the temple, itself, the façade in line with the colonnade. 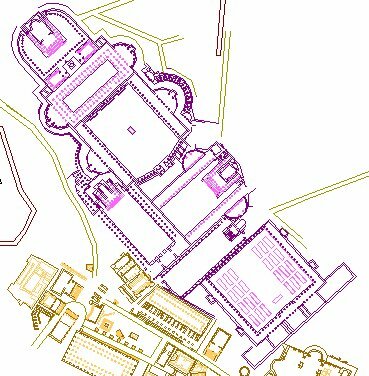 Flanking it were large halls, one of which housed a library, the Bibliotheca Pacis. 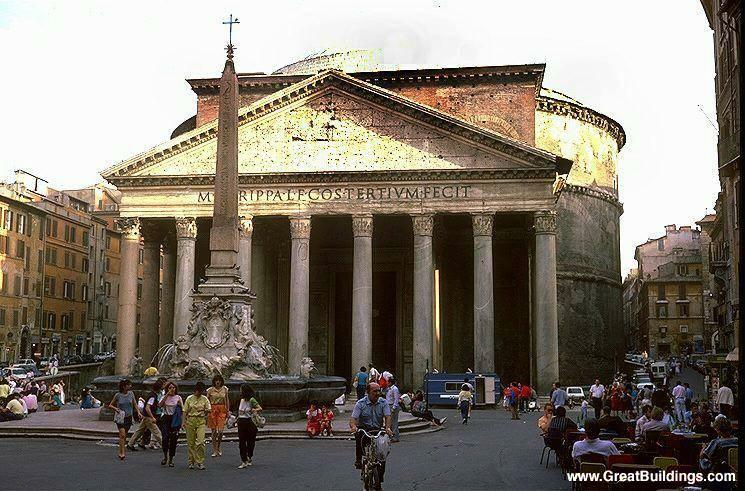 The temple was considered by Pliny to be one of the three most beautiful buildings in Rome. 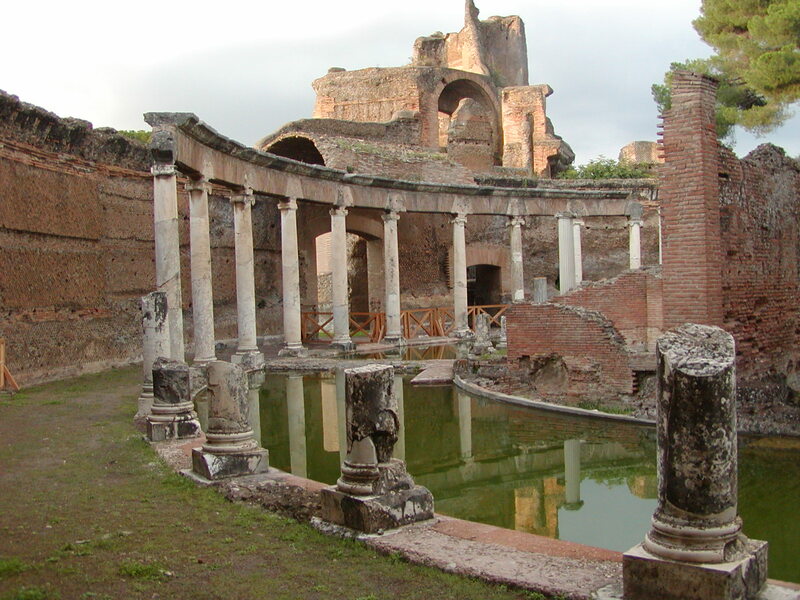 The treasures from the Temple of Jerusalem were deposited there, as were the works of Galen and the finest masterpieces of Greek art, including, says Suetonius, a copy of Praxitles’s Venus, as well as art from the Golden House, which Nero had gathered from throughout the empire. 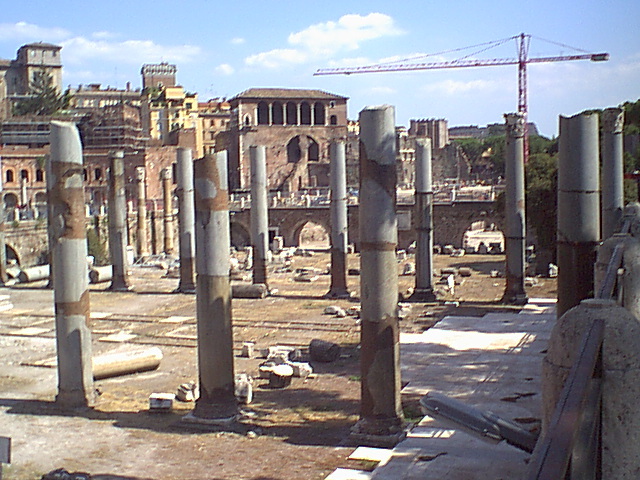 Virtually nothing of the forum now remains except remnants of the library wall and an exedra off the colonnade.